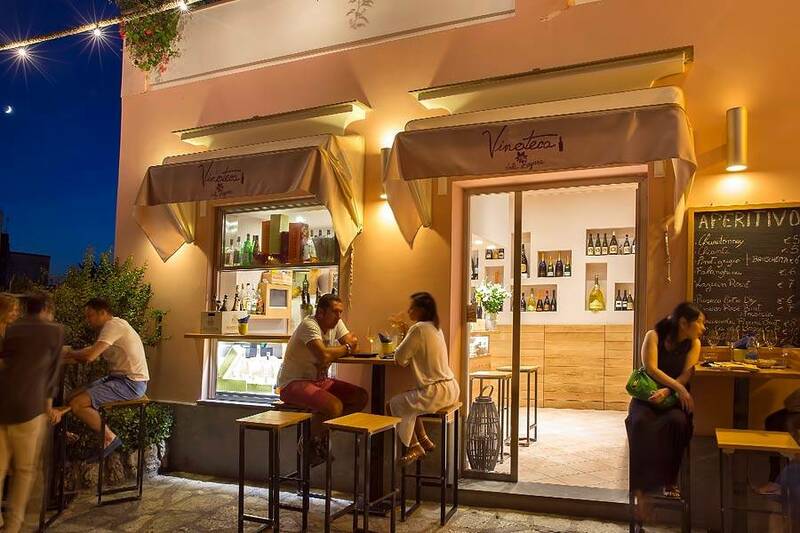 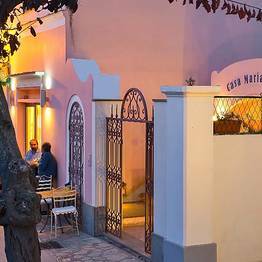 If you are staying in Anacapri, make sure to stop by one of the most popular spots in the center for an evening drink or nightcap, the trendy La Zagara wine bar. 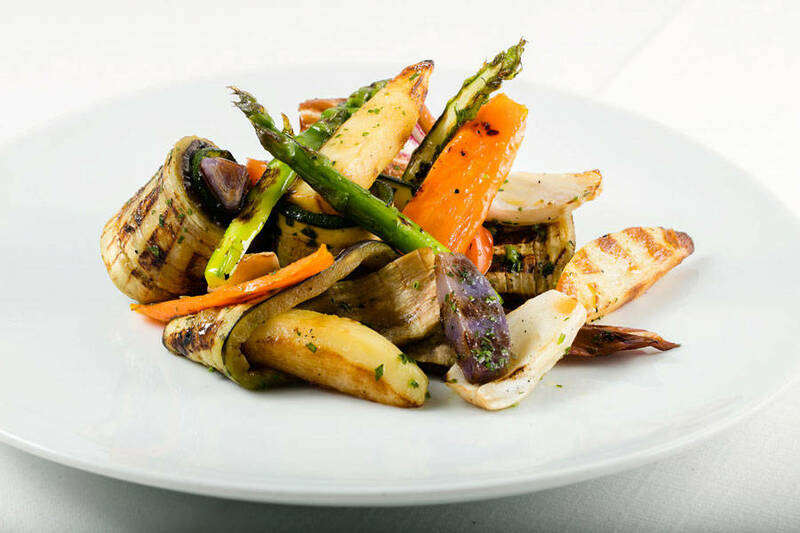 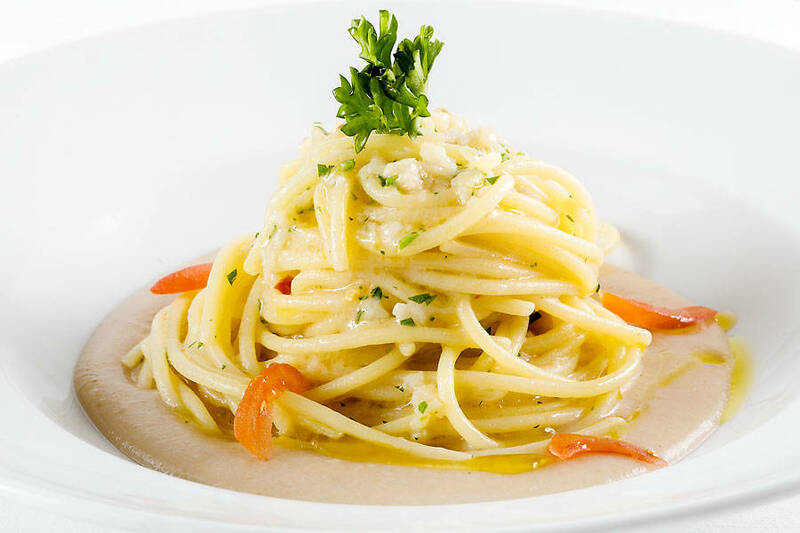 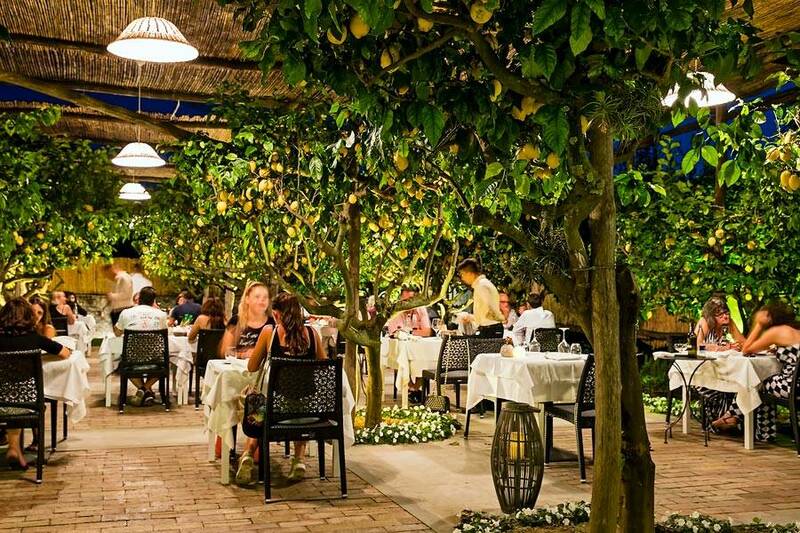 Here you can relax in the informally chic atmosphere with the locals and sample some of the best Italian wine, prosecco, and champagne alongside delicous snacks and finger food. 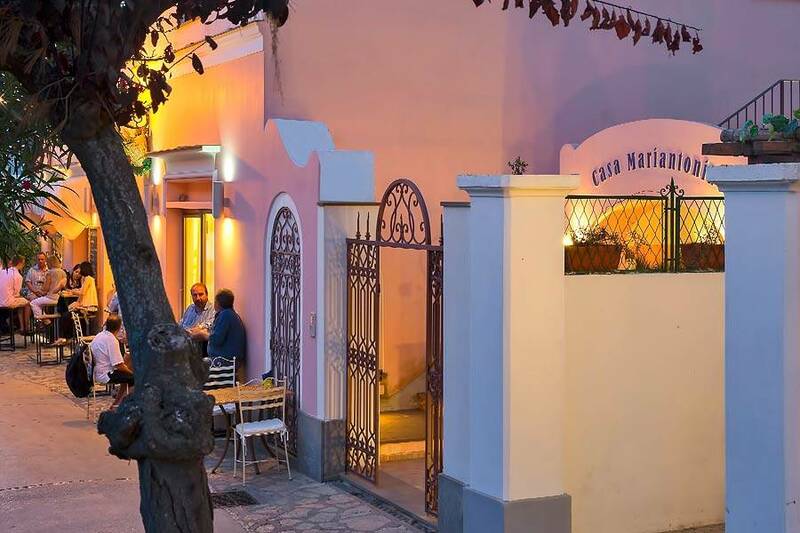 As the sun sets, everyone meets up for their evening aperitivo drink here, so grab a spot at the bar, a table in the intimate indoor space, or a cafè table outside along the sidewalk and enjoy people-watching as the wine bar fills with Anacapresi. 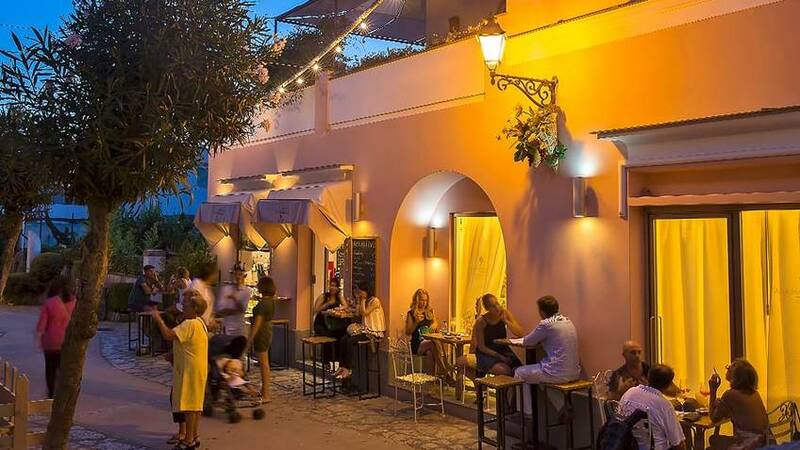 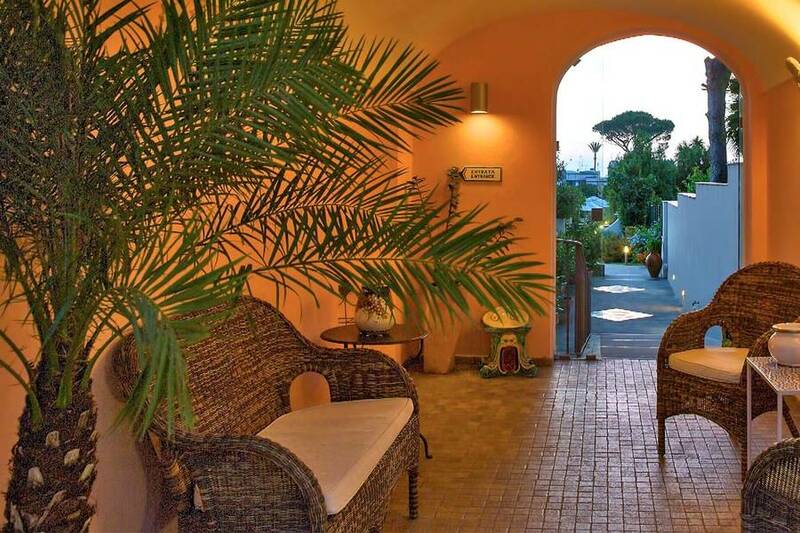 Finish your day at the beach in style with a drink at La Zagara, or take a break from your evening stroll through the pretty historic center of Anacapri. 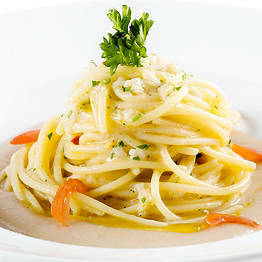 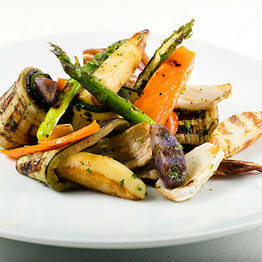 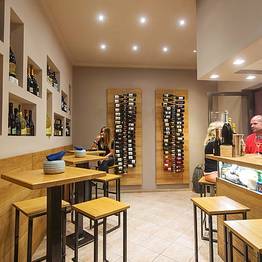 More than just a wine bar! 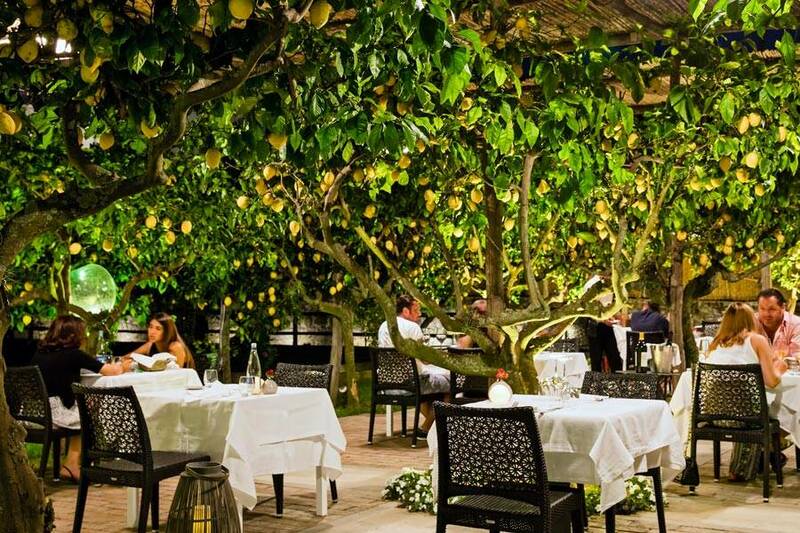 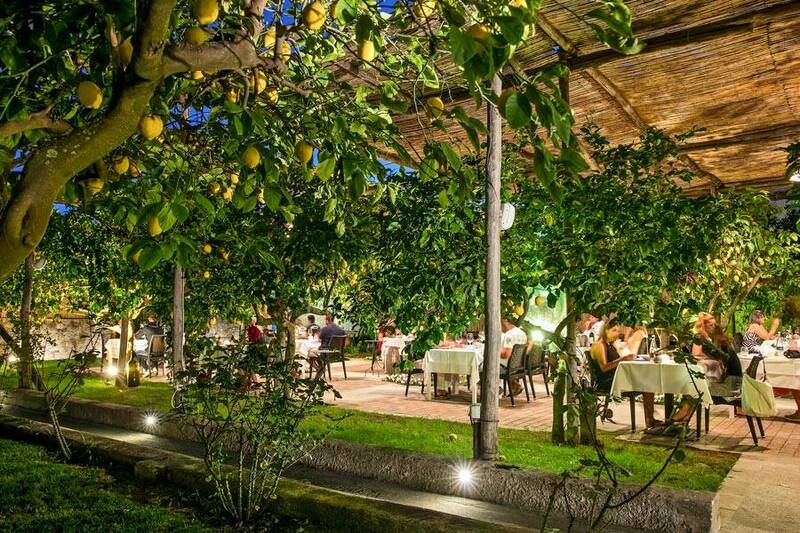 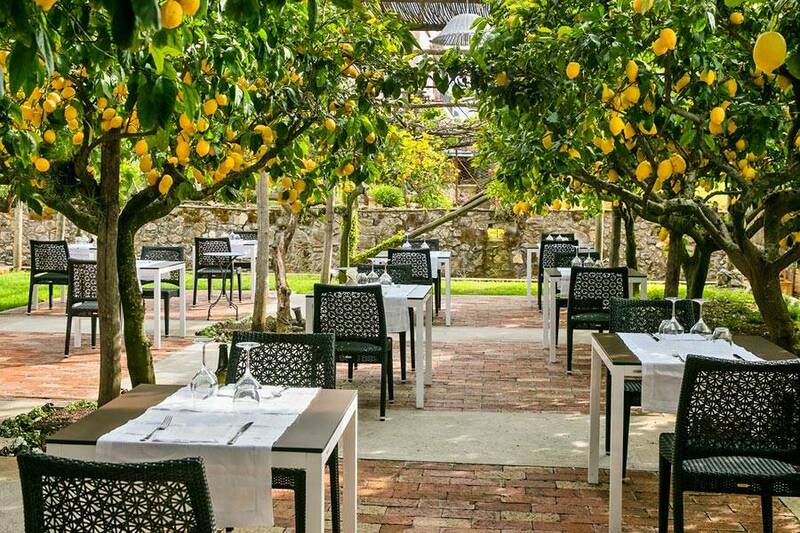 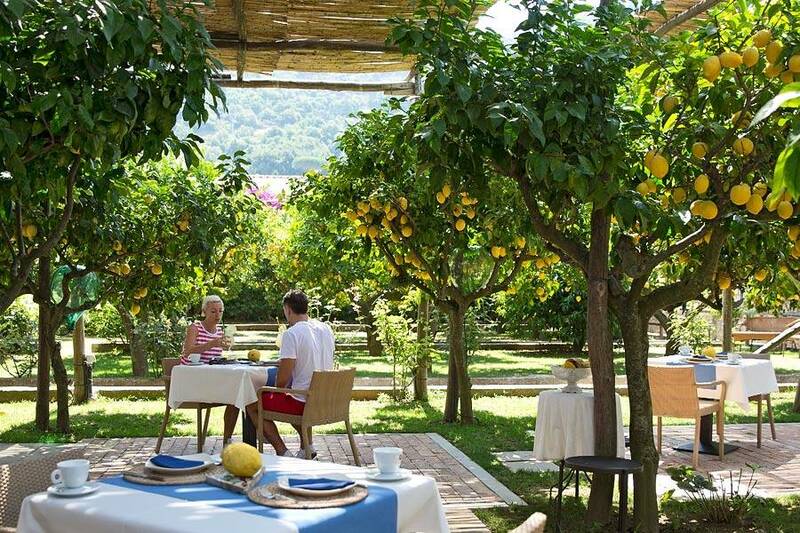 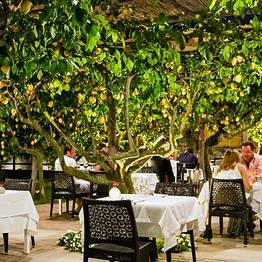 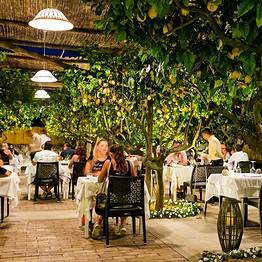 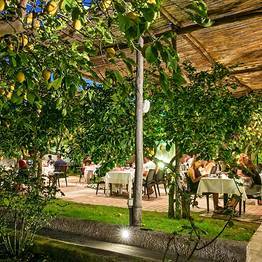 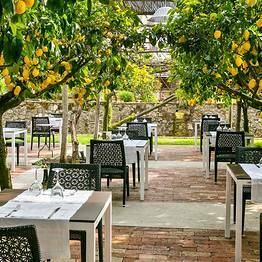 La Zagara is also a restaurant where you can sit under the shade of the lemon grove and sample some of the best island specialties prepared fresh by our excellent chef. 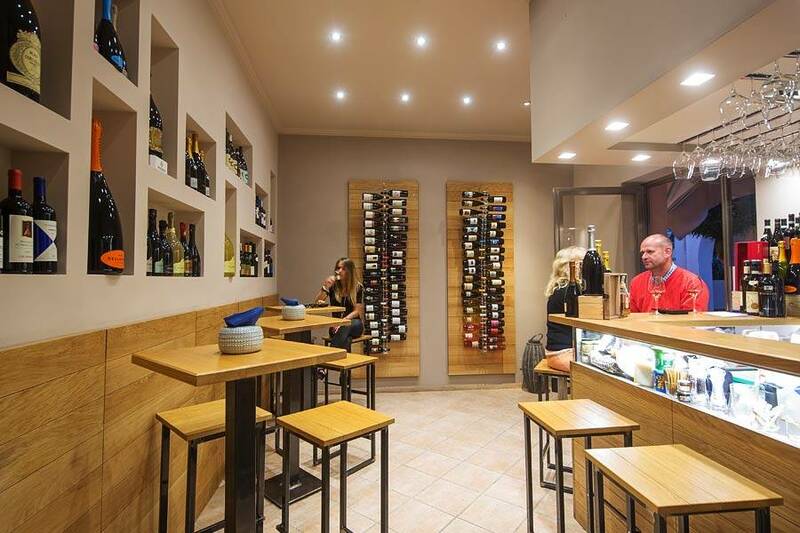 La Zagara wine bar is the perfect spot for a nightcap. 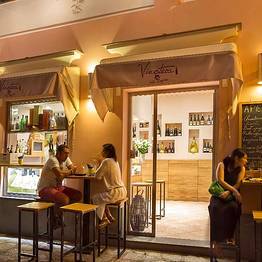 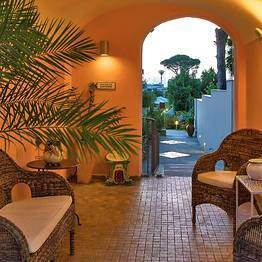 Pair your drink with a selection of finger food and settle in for a relaxing evening surrounded by the buzz of Anacapri's nightlife.